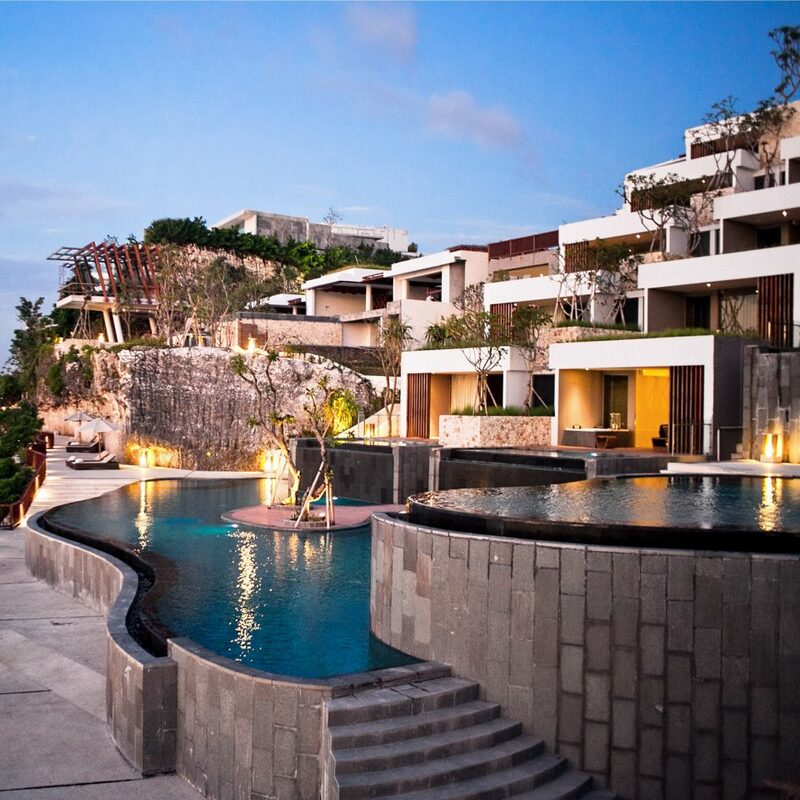 Cascading down a limestone cliff above the vast expanse of the Indian Ocean, this breezy, contemporary retreat offers 74 suites and villas, with ocean views and terrace plunge pools. 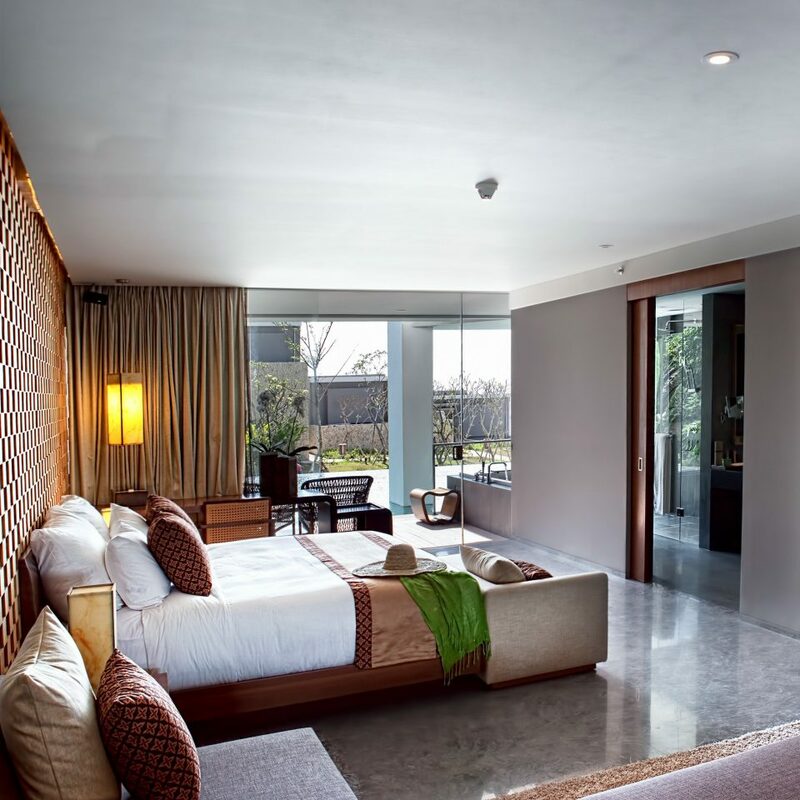 Open in early 2013 (with various facilities and villas still receiving their final touches), the resort has a “hanging garden” design that immerses its four-story reception area in pendulous tree roots and grass-planted rooftops. 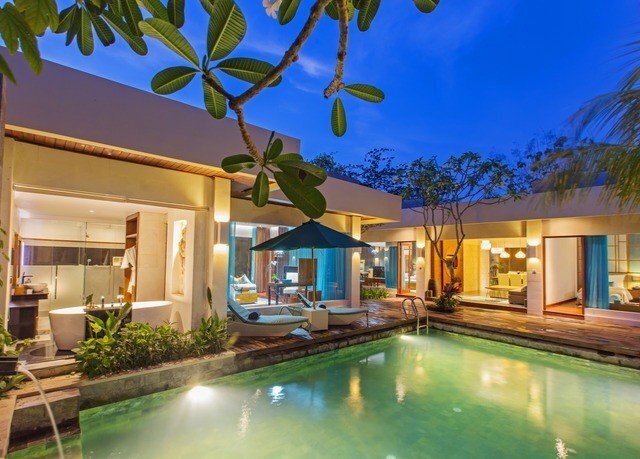 Tiered steps throughout the property connect an oceanfront swimming pool to the spacious suites and villas. 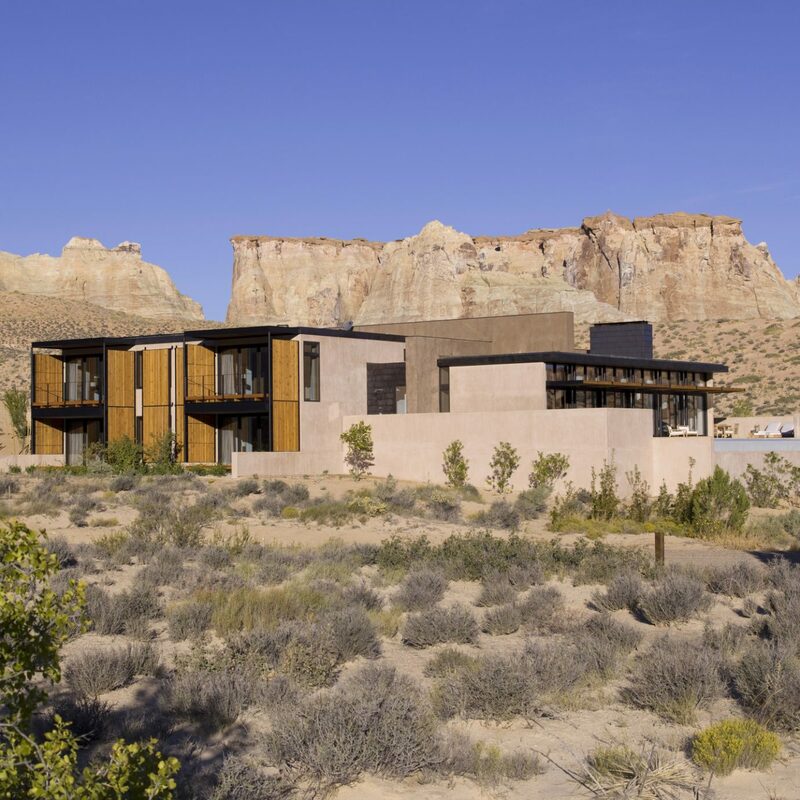 Done with swaths of travertine and Balinese hardwoods, the contemporary interiors offer expansive views. 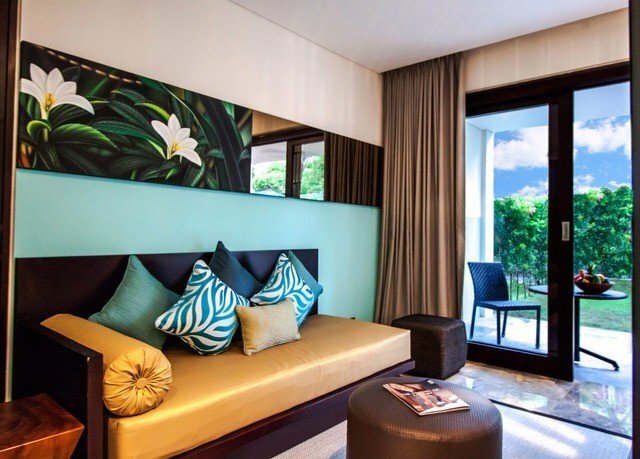 Starting at a generous 904 square feet, Ocean View Suites have a sleek and stylish design, with hand-cut marble and granite floors, floor-to-ceiling windows, carved Indonesian hardwoods and rectangular modern furnishings set with traditional batik accessories and colorful artwork. Just as swanky are the ocean views available from each airy retreat’s private terrace plunge pool. 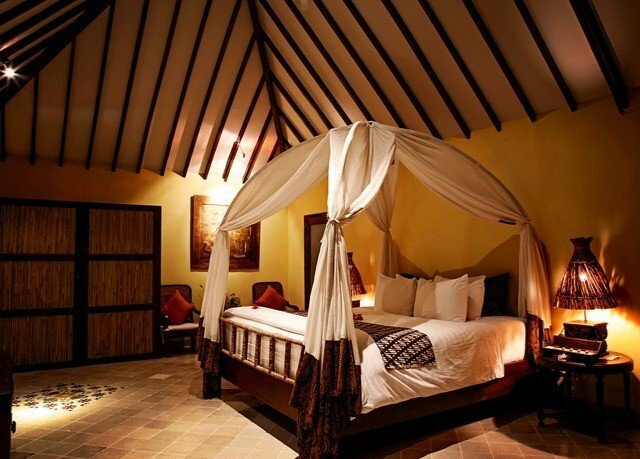 Spacious bathrooms come with a rain shower and Anantara bath products, including anti-aging creams and serums. 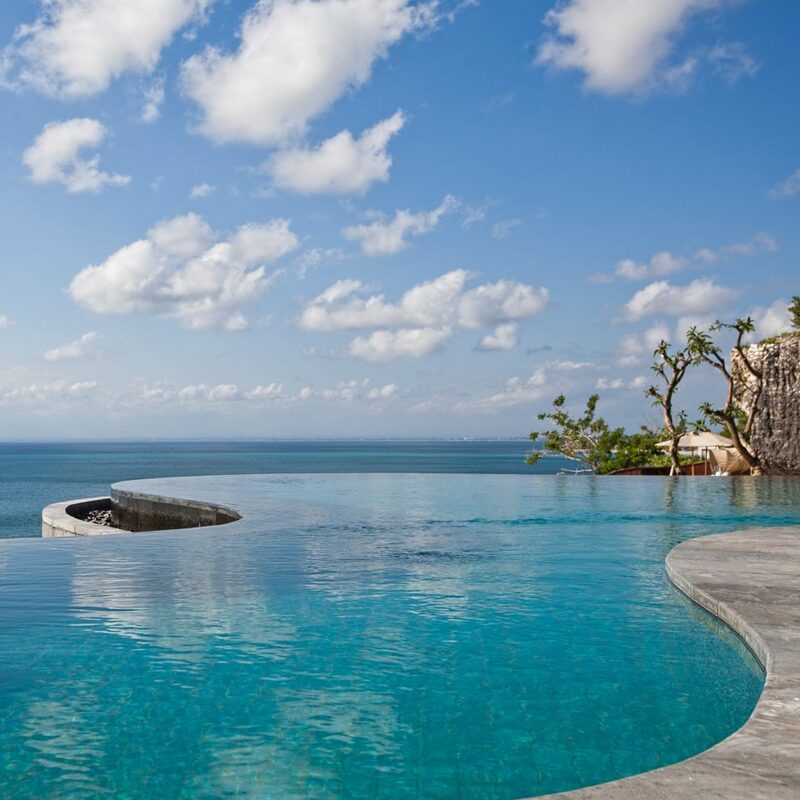 Sky and sea — that’s what you’ll see at nearly every turn throughout the cliffside resort and by the dual-level infinity pool. Equally striking are the views from the rooftop Splash bar, where evenings are spent sipping sundowners on a rocky promontory. 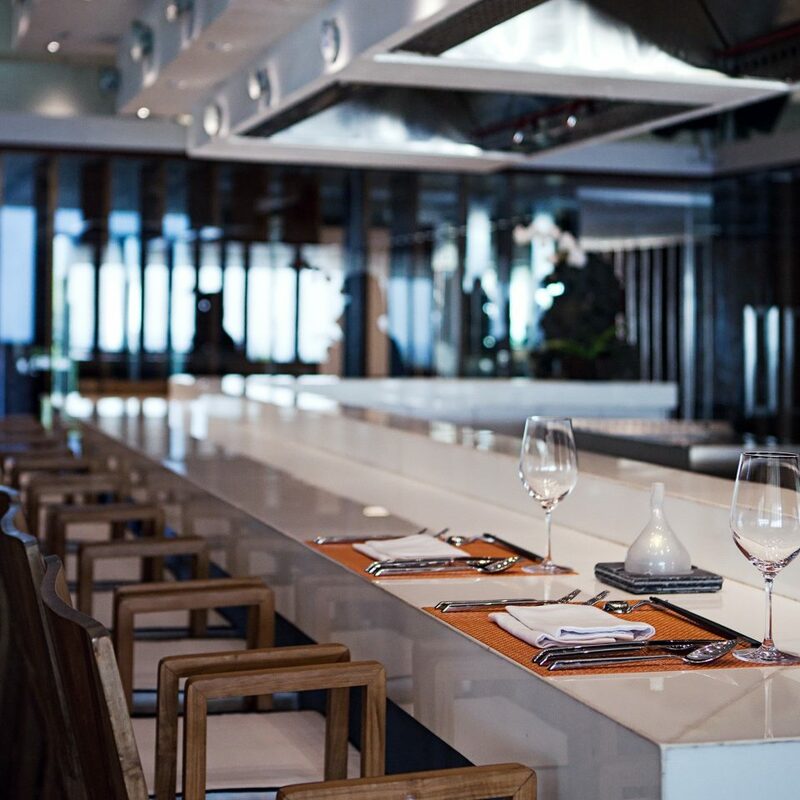 The main restaurant, 360, is a long, wood-trimmed loft space at the highest point of the resort; it serves international and Asian specialties, including an assortment of tasty Indonesian dishes and a teppanyaki bar. What’s more, a four-piece cover band croons accompaniment most nights. 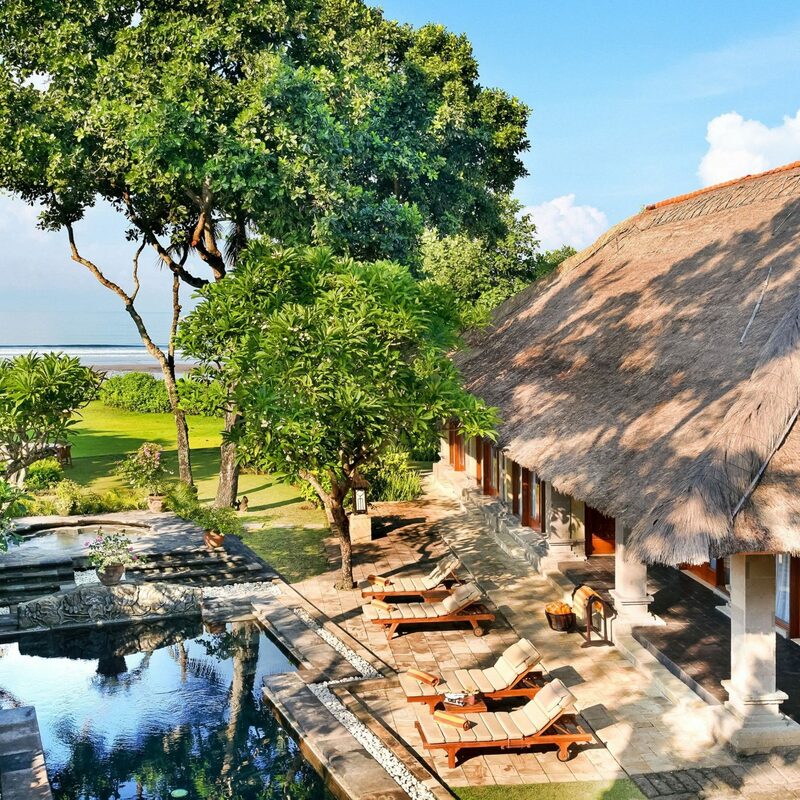 Before the end of 2013 a swanky new spa will open its doors to offer such signature Anantara experiences as the Balinese coffee and chocolate body scrub, in intimate cliffside treatment rooms. 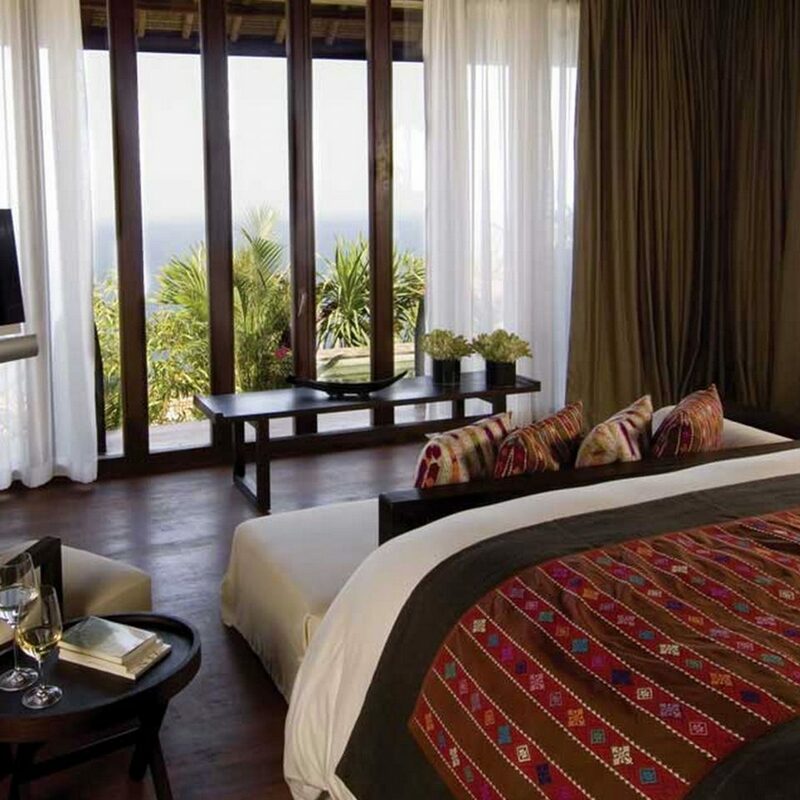 Stayed 5 nights in the Anantara Uluwatu and was very satisfied. Friendly stuff, great food and daily activities. At no point did the hotel or pool feel crowded. At pool being offered cold water and a mocktail. Spacious room and jacuzzi on the balcony. Free shuttle service to the beach and the temple. Everything you need for a great stay. 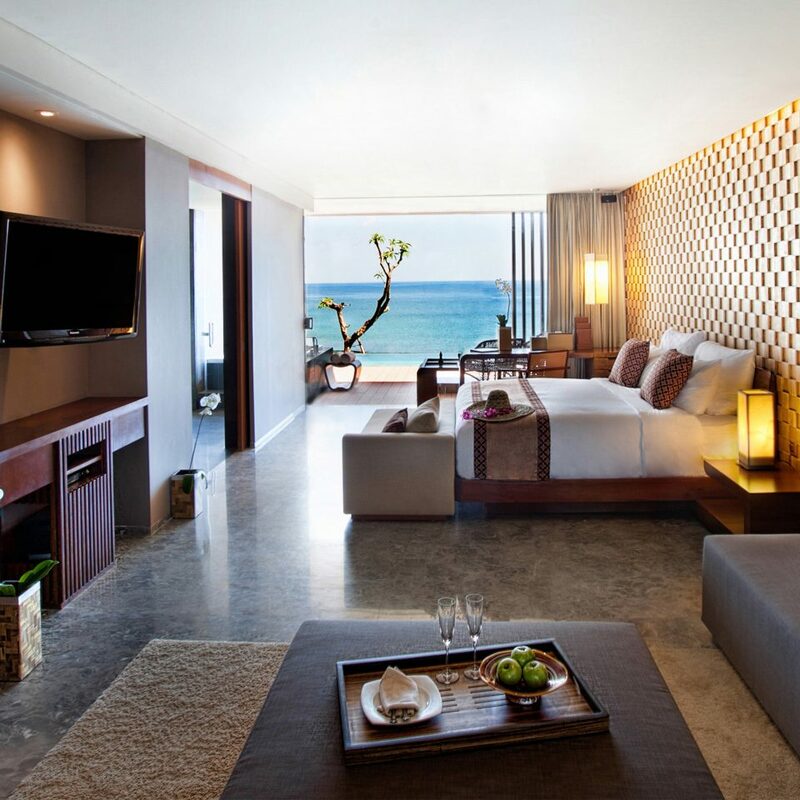 Had a great 3 day stay at Anantara Uluwatu. Perched on the cliff overlooking the ocean. Edgeless pool. Staff are really good and just want guests to be happy. As soon as you get to the pool there is a cold water and towels delivered to you by the attentive staff. At about 3pm every day they bring around a herb inspired non-alcoholic cocktail. One day we had about 30 monkeys come past the pool as they traversed the hotel. There is also a shuttle to the local surf beach. The Japanese Teppanyaki restaurant is also very special and a lot of fun. There are some renovations going on at the moment but we could hardly notice them. 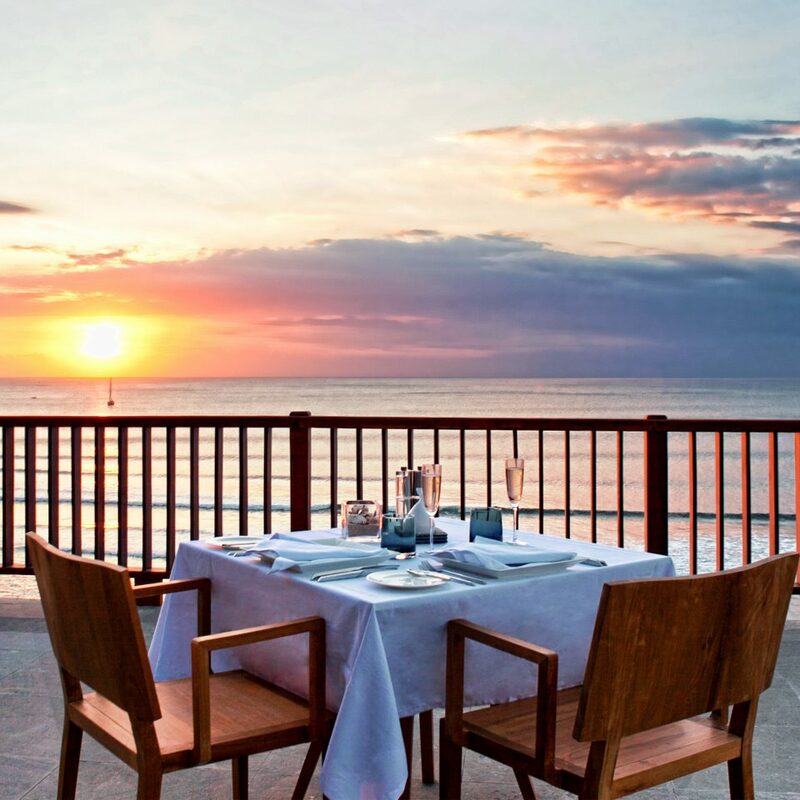 While only about an hour from the airport, it is in a quiet corner of Bali, away from the hustle and bustle. Built on a cliff that drops to the Indian Ocean, the view from anywhere on the resort is impressive. (Many steps are required to get around however). Room is very well appointed. Large, well furnished. Everything worked well and was in great shape, though obviously not new. 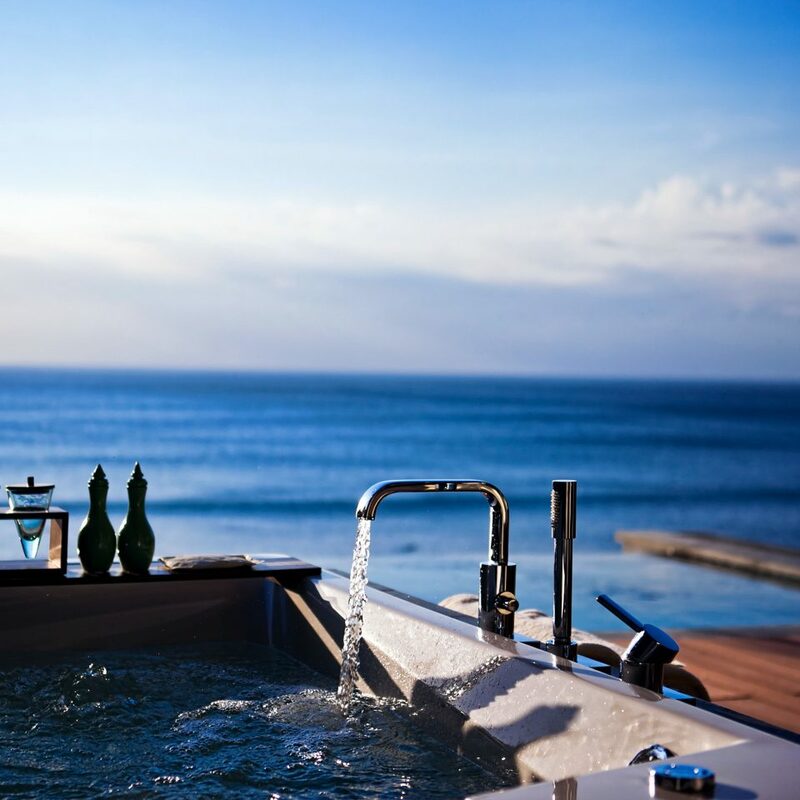 Large hot tub on our balcony with views of the ocean. Firm king-sized bed, good pillow selection. Large TV with about 60 working channels. Bathroom large and in great shape, all toiletry requirements catered for. All staff were friendly and accommodating. All assistance provided with a smile. Food/alcohol options were many and varied. Everything was good quality. One downside is initial impressions when arriving at the resort. Road is narrow and bumpy, about 50 steps to get up to the resort. Once inside however, concerns disappear. I booked a sea view villa. The view from the room was absolutely stunning and alone made up for a great trip. However the rooms are getting old. There were large stains on the mirror inside room and also on the bed covers. After the checkin I was informed that it’s going to be noisy since there are some renovations going on. This information should be given before someone books not after. In room dining was good. While I enjoyed the views and sunset, I think at this price point, a renovation of the room is needed. We were here for our honeymoon and we couldn’t have started our marriage any better. The views were spectacular and peaceful. The team are very polite and helpful. 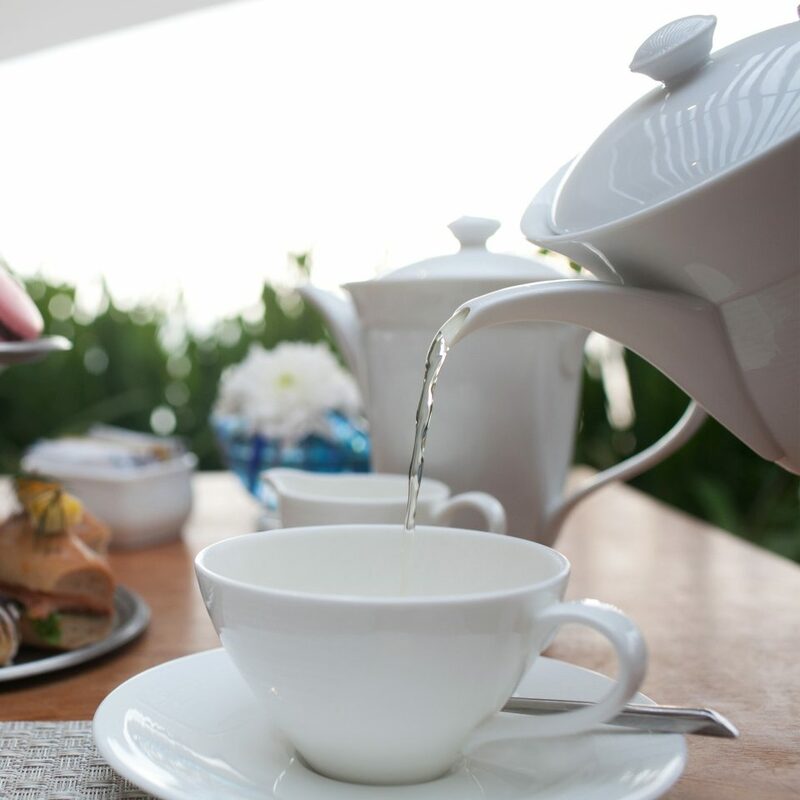 They pride themselves on exceptional service - and it shows. 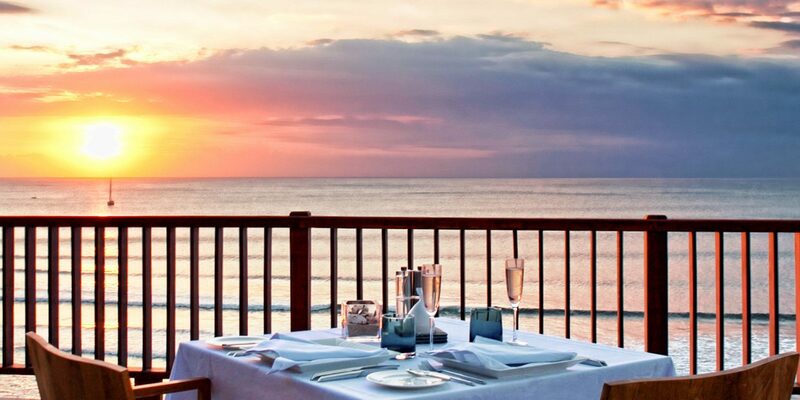 If you’re on your honeymoon or just want to do something really special, we’d highly recommend the dining by design. And the grill, sono and 360 are just as good for meals. The spa has the best massage you’ll have in your life! Try the Balinese massage. You won’t need or want to leave this hotel. Would 100% recommend and we’ll be back for our anniversary next year for sure.